Homeowners plant trees and shrubs for a variety of reasons — privacy, shade or to liven up their yards. But regardless of the reason, nothing is worse than investing time and energy into the planting process and having a disappointing result. Fortunately, you can more effectively select and plant shrubs and trees with a few easy suggestions. Get the timing right. Many homeowners want to plant trees or shrubs but aren’t really sure of the ideal time. Early spring or fall are usually good choices for planting. If you live in a year-round warm climate, you might be fine planting shrubs in the wintertime as well. 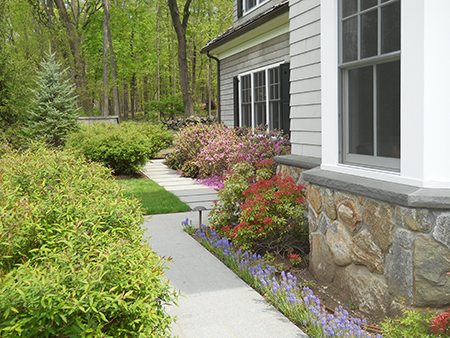 Evaluate the landscape of your yard. Evaluate the planting area to ensure that whatever item you select will thrive. For example, hilly areas may need to be leveled to keep all the roots at the right depth. Select the right soil. Soil is a critical component to successfully growing any plant, including trees and shrubs. Typically, your tree will grow more effectively in the native soil of your yard than in the bagged soil you purchase from the home improvement store. So after you level the yard, save any unused soil and repurpose it during the planting process. Select the right planting site. It’s important to select a tree or shrub that is a good fit for the planting area. For example, if the area is typically dry, you wouldn’t want to purchase a birch tree because it requires moist soil. Most garden stores will tell you whether a plant requires the sun or prefers shade. Also, consider how large the shrub or tree will become in the future. Dig the right size hole. The majority of the time, you should dig a hole that is about double the width of the root ball. This will assist with loosening the soil and encouraging those roots to spread out. Check zoning requirements. Don’t forget to check the neighborhood association rules and regulations. Nothing is worse than working hard to plant your trees or shrubs and then learning that they violate rules (such as being too tall or in the wrong location). Get professional help. There’s a lot to consider when selecting the right shrubs for your home — location, ideal growing conditions and which plants will thrive best in your environment. A professional can make all of this simple. Do you need help planting or choosing shrubs or trees? If so, we can help. Simply call 203-323-2325 or email us today.